On October 5, 2010, HUD released details about the $1 Billion Emergency Homeowners Loan Program (EHLP) authorized by the Dodd-Frank Wall Street Reform and Consumer Protection Act. EHLP will offer declining balance, deferred payment “bridge loan” (non-recourse, subordinate loans with 0% interest rate) for up to $50,000 to assist eligible homeowners with payments of arrearages, including delinquent taxes and insurance plus up to 24 months of monthly payments on their mortgage principal, interest, mortgage insurance premiums, taxes, and hazard insurance. Delegated Approach: Borrowers who are listed in one of the above 32 states or Puerto Rico will meet with non-profit housing counselors who are part of the National Foreclosure Mitigation Counseling Program administered by NeighborWorks® America to receive funding. (i) developing and disseminating program marketing materials, (ii) providing an overview of the program and eligibility requirements, (iii) conducting initial eligibility screening (including verifying income), (iv) counseling potential applicants, providing information concerning available employment and training resources, (v) collecting and assembling homeowner documentation, (vi) submitting homeowner application, and (vii) providing transition counseling to explore with the homeowner other loss mitigation options, including loan modification, short sale, deed-in-lieu of foreclosure, or traditional sale of home. Recipient Geography: HUD will assist borrowers living in Puerto Rico and the 32 states otherwise not funded by Treasury’s Innovation Fund for Hardest Hit Housing Markets (Hardest Hit Fund) program. Targeting Funds to Local Geographies: HUD will provide information that identifies pockets within each of the designated states that have suffered the most from recent spikes in unemployment and/or mortgage delinquencies. HUD will encourage the use of program dollars in these hardest-hit areas. Income Thresholds: Has a total pre-event household income equal to, or less than, 120% of the Area Median Income (AMI), which includes wage, salary, and self-employed earnings and income. Significant Income Reduction: Has a current gross income (income before taxes) that is at least 15% lower than the pre-event income. Employment type: Both wage and salary workers and self-employed individuals are eligible. Delinquency and Likelihood of Foreclosure: Must be at least 3 months delinquent on payments and have received notification of an intention to foreclose. This requirement can be documented by any written communication from the mortgagee to the homeowner indicating at least 3 months of missed payments and the mortgagee’s intent to foreclose. In addition, the homeowner can self-certify that there is a likelihood of initiation of foreclosure on the part of their mortgagee due to the homeowner being at least 3 months delinquent in their monthly payment. Principal Residence: Must reside in the mortgaged property and be your principal residence. The mortgaged property must also be a single family residence (1 – 4 unit structure or condominium unit). Creation of HUD Note: After the first assistance payment is made on behalf of the homeowner, the fiscal agent will create an open-ended “HUD note” and a mortgage to be in the name of the Secretary HUD of sufficient size to accommodate the expected amount of assistance to be provided to homeowner. The homeowner receives net proceeds from selling or refinancing debt on the home. On August 11, 2010, the Obama Administration announced additional support to help homeowners struggling with unemployment through two targeted foreclosure-prevention programs. Through the existing Housing Finance Agency (HFA) Innovation Fund for the Hardest Hit Housing Markets (HFA Hardest Hit Fund), the U.S. Department of the Treasury will make $2 billion of additional assistance available for HFA programs for homeowners struggling to make their mortgage payments due to unemployment. Additionally, the U.S. Department of Housing and Urban Development (HUD) will soon launch a complementary $1 billion Emergency Homeowners Loan Program to provide assistance – for up to 24 months – to homeowners who are at risk of foreclosure and have experienced a substantial reduction in income due to involuntary unemployment, underemployment, or a medical condition. President Obama first announced the HFA Hardest Hit Fund in February 2010 to allow states hit hard by the economic downturn flexibility in determining how to design and implement programs to meet the local challenges homeowners in their state are facing. Under the additional assistance announced, states eligible to receive support have all experienced an unemployment rate at or above the national average over the past 12 months. Each state will use the funds for targeted unemployment programs that provide temporary assistance to eligible homeowners to help them pay their mortgage while they seek re-employment, additional employment or undertake job training. States that have already benefited from previously announced assistance under the HFA Hardest Hit Fund may use these additional resources to support the unemployment programs previously approved by Treasury or they may opt to implement a new unemployment program. States that do not currently have HFA Hardest Hit Fund unemployment programs must submit proposals to Treasury by September 1, 2010 that, within established guidelines, meet the distinct needs of their state. This new program will complement Treasury’s HFA Hardest Hit Fund by providing assistance to homeowners in hard hit local areas that may not be included in the hardest hit target states. Those areas are still being determined. deferred payment “bridge loan” (0% interest, non-recourse, subordinate loan) for up to $50,000 on their mortgage principal, interest, mortgage insurance, taxes and hazard insurance for up to 24 months. Demonstrate a good payment record prior to the event that produced the reduction of income. HUD will announce additional details, including the targeted communities and other program specifics when the program is officially launched in the coming weeks. Many homeowners may be struggling to make their monthly mortgage payments because they have a second lien. Even when a first mortgage payment is affordable, the addition of a second lien can sometimes increase monthly payments beyond affordable levels. Second liens often complicate or prevent modification or refinancing of a first mortgage. The 2nd Lien Modification Program (2MP) offers homeowners a way to lower payments on their second mortgage. 2MP offers homeowners, their mortgage servicers, and investors an incentive for modifying a second lien. Servicers and investors may also receive an incentive for extinguishing a second lien, forgiving all of the debt a homeowner owes. Homeowners must provide consent to share their first lien mortgage modification information with their second lien mortgage servicer, if they are different. Since 2MP is meant to be complementary to the Home Affordable Modification Program (HAMP), a homeowner must have their first lien modified through HAMP before the second lien can be modified under 2MP. In 2006: Family A took out a 30-year closed-end second mortgage with a balance of $45,000 and an interest rate of 8.6%. Today: Family A has an unpaid balance of almost $44,000 on their second mortgage. Under the 2MP: The interest rate on Family A’s second mortgage will be reduced to 1% for 5 years. This will reduce their annual payments by over $2,300. After those five years, Family A’s mortgage payment will rise again but to a more moderate level. In 2006: Family B took out an interest-only second mortgage with a balance of $60,000, an interest rate of 4.4%, and a term of 15 years. Today: Family B has $60,000 remaining on their interest-only second mortgage because none of the principal was paid down. Under the 2MP: The interest rate on Family B’s interest-only second mortgage will be reduced to 2% for 5 years. This will reduce their annual interest payments by $1,440. After those five years, Family B’s mortgage payment will adjust back up and the mortgage will amortize over a term equal to the longer of (i) the remaining term of the family’s modified first mortgage (e.g. 27 years if the first mortgage had a 30 year term at origination and was three years old at the time of modification) or (ii) the originally scheduled amortization term of the second mortgage. More servicers will be added in the near future as they join the program. For more information, contact your mortgage servicer. Am I eligible for the National Homeownership Retention Program (NHRP)? First, Bank of America (BOA) Home Loans will need to determine your financial situation and hardship. Once BOA has your current financial information, BOA will evaluate the your loan for all possible home retention options so that you can determine which option might be right for you. For the negative amortization principal reduction program, be 60 days or more delinquent or be current but reasonably likely to become 60 days or more delinquent (i.e. facing imminent default) and the current LTV ratio is above 95%. Exactly what will BOA offer to eligible borrowers? Once the enhancements are launched, BOA Home Loans will both mail and call all eligible customers to collect the necessary information and determine if they qualify for the NHRP. How do I know if I have a Subprime loan, Pay-Option adjustable rate mortgage (ARM) loan, or a two-year hybrid ARM? If you are not sure what type of loan you have with BOA Home Loans, please call them at 800.669.6607 and they can provide you with that information. How do I find out if I am eligible? Please call BOA Home Loans Customer Service at 800.669.6607. BOA Home Loans will also be contacting eligible customers to see if they are interested in applying for the program. When will the program start or go into effect? The program launched in 2008, and was enhanced in mid-May. How will the NHRP use principal forgiveness to make my mortgage payment more affordable? The NHRP looks at each customer’s situation and determines how they can provide you with an affordable mortgage payment. Depending on your situation, the NHRP may use principal forgiveness to do this. The NHRP may offer principal forbearance with an opportunity to earn principal forgiveness. Principal forbearance provides temporary relief during a time of hardship. This means after demonstrating a hardship, BOA Home Loans will defer or postpone your mortgage payment for a period of time. For purposes of NHRP and the HAMP, BOA Home Loans offers interest-free forbearance to qualifying borrowers for the life of the loan. At the end of the loan term or at the time the loan is paid off through sale or refinancing, any remaining forborne amount must be paid by the borrower. You may also qualify for earned principal forgiveness where a portion of the debt or loan amount is waived and you are no longer responsible to pay back that amount. However, you must remain in good standing on your payments or you will not receive forgiveness. The principal forgiveness occurs over 5 years. The amount of principal forgiveness that you can earn remains the same for the first 3 years. In the 4th and 5th years, the amount of forgiveness may be less, if an increase in the property value since the modification was made would result in your principal balance dropping below the current value of the property. I wanted principal forgiveness when I was reviewed for a modification and I didn’t get it. How do I get it now? All BOA Home Loans modification solutions are designed to bring a loan payment to an affordable and reasonable amount that borrowers are able to sustain over time. If you have completed a loan modification or are currently in a trial period for a modification, your loan likely received a rate forgiveness and/or term extension in order to achieve an affordable and reasonable payment. Principal forgiveness is another tool to achieve this same result. In addition, under the federal government’s HAMP, you can only qualify for one modification, so if you are in a trial period plan or a permanent modification, you would not qualify for another modification. However, BOA will consider the application of the principal reduction enhancements to potentially eligible trial and permanent modifications, and will notify eligible borrowers accordingly. I am in my Trial Period and have not received my final modification yet. How do I get a principal forgiveness too? If you are currently in a trial modification, a solution to bring your mortgage to an affordable and reasonable payment has been achieved and no additional tools (including principal forgiveness) would be necessary. BOA encourages you to continue making timely payments and to return all required, completed documents to ensure your trial will convert to a permanent modification, as you cannot be considered for another HAMP modification if you do not fulfill your trial modification requirements. Two months ago this would have helped me but now my house is on the market for a short sale. How do I get a principal forgiveness and a modification now? Even though you have started the short sale process, you can still be evaluated for a loan modification unless you have already been in a modification trial period or have received a permanent modification. If your financial situation has changed, BOA can collect your new financial information and reevaluate your loan for this program and other foreclosure prevention options. Please call BOA at 800.669.6607 to learn how to provide this new information. This is something I asked for months ago, and now I am in foreclosure. What are you going to do for me now? If your financial situation has changed since your loan was last evaluated for a modification, BOA can collect your new financial information and reevaluate the loan for this and other foreclosure prevention options. What happens if I can’t qualify for a modification or a principal forgiveness? Your loan will be considered for all modification programs available to you to help you achieve an affordable monthly mortgage payment. If you are not eligible for a loan modification, BOA can discuss other options. What do I do if my state is not mentioned or included in this agreement? Your state does not have to participate in the program for you to be eligible or considered for a modification. If you are a BOA Home Loans customer, BOA can discuss your situation and see if you qualify for NHRP or other modification options to assist you. Please call BOA Home Loans Customer Service at 800.669.6607. I have a rental/vacation/investment property. Does that qualify? No. This program is only for owner-occupied properties. I have a Home Equity Line of Credit (HELOC) or second mortgage. Does the NHRP apply to that loan? No, the NHRP does not cover HELOCs or second mortgages. If you have a HELOC or second mortgage with BOA Home Loans, BOA will review it when they review your first mortgage. If your HELOC or second mortgage is with another lender, you will need to discuss your options with that lender. If your first lien is held by an investor other than BOA or one of its subsidiaries and you have a second lien on the property, BOA is unable to consider your first lien for modification under the new programs, but they will review your eligibility for another solution using HAMP or their proprietary modification programs. Do I have to pay a fee to participate, or are there closing costs related to this program? There are no fees assessed for participating in any modification program with BOA Home Loans. What if I’m already in the foreclosure process? You may still be reviewed for a modification. If you are eligible for one of BOA’s programs, your foreclosure sale may be placed on hold while BOA works to qualify you for the program and work through the modification process. Please call BOA at 800.669.6607. What if I’m current on my loan, but would like to be considered for this program? Customers current on their loans may qualify for this program if they can demonstrate in good faith that they are reasonably likely to become 60 days or more delinquent as a result of a rate reset on a subprime loan or a Pay-Option ARM loan or prime two-year hybrid ARM, or a payment recast based on negative amortization on a Pay-Option ARM loan, and their LTV ratio is 75% or higher. You will be asked to provide financial documentation demonstrating financial hardship to qualify for the program. With respect to the recently announced principal reduction enhancements to the program, the negative amortization write-down solution is being offered to certain Pay Option ARM borrowers who are current on their payments but facing imminent default. I’m current on my mortgage, but I owe more than my home is worth. Can I qualify for principal forgiveness? If you are current on your loan, BOA will first evaluate you for the Home Affordable Refinance Program (HARP), which BOA is required to do under the government guidelines. If you do not qualify for a refinance, BOA will then evaluate your loan for the HAMP under Imminent Default if you have a financial hardship and will not be able to afford your current mortgage payment in the immediate future. How long will BOA Home Loans offer this program? BOA has expanded the program until December 31, 2012, six months longer than the original program date. Bank of America (BOA) has begun implementing the National Homeownership Retention Program (NHRP) enhancements, announced in late March 2010, to modify the mortgages of qualified homeowners who are experiencing financial hardship. What is the National Homeownership Retention Program (NHRP)? NHRP, launched in October 2008, is a loan modification program that emerged from an agreement with several state attorneys general to provide assistance to former Countrywide borrowers with Sub-prime and Pay-Option adjustable rate mortgage (ARM) loans. BOA found that many homeowners who owe considerably more than their home is worth are reluctant to accept a solution that does not address a reduction in the principal balance due. In BOA’s outreach to date, about 30% of underwater and delinquent customers who had not responded to offers of modifications without a principal reduction component did respond when offered a significant reduction in principal. Earned Principal Forgiveness – A first look at principal forgiveness coupled with an innovative solution to help delinquent borrowers who owe more than 120% of their property’s current market value. Principal Reduction for Negative-Amortization Loans – Also a first look in the HAMP sequence of solutions for certain qualifying loans. On delinquent and imminent default Pay-Option ARM loans with negative amortization, Bank of America will lower the principal balance to the extent of the negative amortization incurred to as low as 95% loan-to-value (LTV). Program Expansions – Now covers prime two-year hybrid ARM loans and the entire program will be extended 6 months through the end of 2012. In addition, qualifying mortgages eligible for NHRP will be expanded to include those originated on or before Jan. 1, 2009. Eligible relocation payments will have a floor of $2,000 per loan, and this benefit will be extended to tenants as well as borrowers. For NHRP-qualifying mortgages with current loan-to-value (LTV) ratios of 120% or higher, BOA will take a first look at offering an interest-free forbearance of principal that the homeowner can turn into forgiven principal annually over 5 years, provided the homeowner remains in good standing on payments. This “earned principal forgiveness” can result up to a maximum 30% decrease in the principal balance, with forgiveness of principal in installments over 5 years to as low as 100% LTV. If the forbearance is not enough to meet the HAMP payment target of 31% of the homeowner’s income, an interest rate reduction and other steps in the standard sequence of solutions will be employed. For each of the first 5 years that the homeowner’s payment record remains in good standing, the borrower may earn forgiveness of up to one-fifth of the forborne principal amount. The amount is set at 20% in the first 3 years. In the 4th and 5th years, the amount of forgiveness will take into account any increase in the property value over the period of the modification such that the then-current LTV will not be reduced to below 100% through principal forgiveness – helping strike a critical balance between customer and investor interests. BOA has begun offering two other affordable and sustainable payment solutions on certain Pay-Option ARMs. If the principal balance on the loan has grown because the borrower selected an option to make payments that did not cover the interest due and this payment difference was added to principal – known as negative amortization – the bank will consider offering a HAMP modification eliminating the negative amortization feature and forgiving all or part of the negative amortization amount to reduce the principal to as low as 95% LTV. If a pending recast of a Pay-Option ARM will increase the customer’s monthly payments, a preemptive modification that eliminates the negative amortization feature of the mortgage and converts it to a fully amortizing market rate loan may be offered. With implementation of these enhancements, BOA will make principal reduction the initial consideration toward reaching the HAMP’s target for an affordable payment equal to 31% of household income when modifying qualifying Sub-prime, Pay-Option ARM and Prime 2-year hybrid ARM loans that are also eligible for NHRP. An interest rate reduction and other steps would then be considered, if additional savings are necessary to reach the targeted payment. In Lender Letter LL-2010-04, Fannie Mae introduces the Alternative Modification™ (Alt Mod™), an alternative to the HAMP modification for those borrowers who were eligible for and accepted into a HAMP trial period plan but were subsequently not offered a HAMP permanent modification because of eligibility restrictions. For mortgage loans in active HAMP trial period plans initiated prior to March 1, 2010, all Fannie Mae-approved servicers must consider the Alt Mod prior to the initiation of foreclosure for all eligible borrowers who were not offered a permanent HAMP modification after making payments under a HAMP trial period plan. All borrowers must meet the eligibility criteria outlined below. A borrower that entered into a trial period plan prior to March 1, 2010 will be considered eligible for the Alt Mod as long as the case is submitted through the HomeSaver Solutions® Network (HSSN) prior to the final date of the program offering, August 31, 2010. To be eligible for the Alt Mod, the mortgage loan must first have been evaluated and considered eligible for HAMP as described in Announcement 09-05R, including confirmation that the mortgage loan is secured by a 1 – 4 unit owner-occupied property. The HAMP trial period must have been initiated prior to March 1, 2010. The borrower must have made all required payments in accordance with a HAMP trial period plan, including subsequent payments that may have been due while the servicer attempted to convert the trial period to a permanent modification. Any subsequent trial period payment(s) due from the borrower must be submitted prior to executing a permanent modification agreement. the borrower failed to provide all income documentation required for a HAMP modification but the income documentation meets the streamlined income documentation for the Alt Mod (described in the Underwriting section below). send the borrower the appropriate Borrower Notice as outlined in Announcement 09-36. The servicer must include the Alt Mod offer and Loan Modification Agreement (Form 3179) with the HAMP Borrower Notice when possible. The Alt Mod offer must clearly indicate that, while the Alt Mod contains the same payment terms as the HAMP modification, the borrower did not meet the requirements of HAMP and as a result, the Alt Mod does not include borrower incentive payments that are otherwise payable under HAMP. remind the borrower of the consequences of material misstatements when submitting documentation in connection with a request for a modification. For qualified borrowers who are already identified as ineligible for a permanent HAMP modification, Alt Mod offers should be sent no later than 30 days from the date of this Lender Letter. Going forward, for other borrowers who entered into a trial period plan prior to March 1, 2010 and failed to qualify for a permanent HAMP modification, but are determined to be eligible for Alt Mod, offers should be sent within 10 days of completion of the HAMP trial period and expiration of the 30-day HAMP Borrower Notice. All Alt Mod offers should also include an expiration date of 30 days from the date of the offer. between the 15th and 30th day after the offer is mailed, servicers must attempt to contact the borrower a minimum of three additional times by either phone calls or the use of field services (door knockers). Failure to comply with these guidelines could result in forfeiture of incentive payments to the servicer. A servicer must have obtained a property valuation as required under the HAMP modification as described in Announcement 09-05R. The servicer must use that valuation to underwrite the Alt Mod. If the current mark-to-market loan-to-value (LTV) ratio (current LTV based upon the new valuation) is 80% or greater, the payment calculated for HAMP using the standard modification waterfall should be utilized for the Alt Mod and verification of income documentation as described below is not necessary. When the current mark-to-market LTV ratio is less than 80%, the payment calculated for HAMP using the standard modification waterfall should be utilized for the Alt Mod, and income verification is required (as described in the Streamlined Income Documentation section below). However, the Alt Mod mortgage payment may not be reduced below 20% of the borrower’s verified monthly gross income. If the borrower did not qualify for a HAMP modification because the borrower failed to provide all required income documentation but the income documentation meets the streamlined income documentation requirements for the Alt Mod, the servicer may use the payment previously calculated for the HAMP trial period for the Alt Mod provided that the payment meets the criteria outlined above. 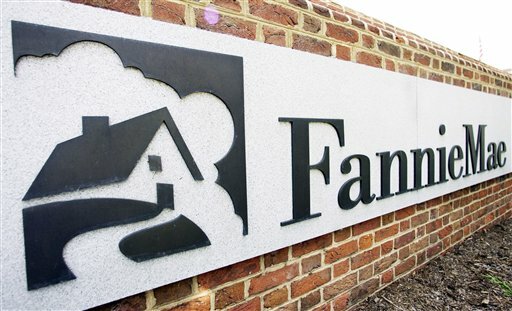 If, after applying the modification waterfall steps based on verified income documentation, the borrower’s monthly mortgage payment cannot be reduced without going below a 20% monthly mortgage payment ratio, the servicer may not perform the modification without the express written consent of Fannie Mae. A principal write-down or principal forgiveness is prohibited on Fannie Mae mortgage loans. A servicer may use the verified income documentation required under HAMP to calculate the payment for the Alt Mod. If the borrower is ineligible for a HAMP modification because of failure to provide the required income documentation, the servicer may rely upon the following streamlined documentation requirements for the Alt Mod. a copy of the most recent paystub indicating year-to-date earnings or, if year-to-date earnings are not available, copies of paystubs for the last two months. reliable third party documentation describing the nature of the income (for example, an employment contract or printouts documenting tip income). copies of bank statements for the business account for the last two months to document continuation of business activity. documents supplying reasonably reliable evidence of full, regular, and timely payments, such as bank deposit slips or bank statements for the last two months. the servicer must obtain copies of the most recent bank statement showing these deposits. acceptable documentation includes letters, exhibits or a benefits statement from the provider that states the amount, frequency, and duration of the benefit. The servicer must have determined that the income will continue for at least nine months from the date of the HAMP eligibility determination. copies of all pages from the borrower’s signed federal income tax return and Schedule E – Supplemental Income and Loss, for the most recent tax year. When Schedule E is not available because the property was not previously rented, servicers may accept a current lease agreement and bank statements or canceled rent checks. If the borrower has rental income from a one- to four-unit property that is also the borrower’s principal residence, the monthly net rental income to be calculated for HAMP purposes must equal 75% of the gross rent, with the remaining 25% being considered vacancy loss and maintenance expense. If the borrower has rental income from a property that is other than the borrower’s primary residence, the income should be 75% of the monthly gross rental income, reduced by the monthly debt service on the property (i.e., principal, interest, taxes, insurance, including mortgage insurance and association fees, if applicable). Income documentation previously obtained during the HAMP evaluation may be relied upon for the purposes of verifying income for the Alt Mod. All other income documentation must not be more than 90 days old from the date of the Alt Mod evaluation. The servicer must prepare a Loan Modification Agreement to document the agreed-upon terms of the modification. Servicers must revise the Loan Modification Agreement by amending the existing paragraph No. 5 (d) in such agreement to reflect that the borrower will not be charged for administrative and processing costs as described in the Administrative Costs section below. Unless a borrower or co-borrower is deceased or a borrower and co-borrower are divorced, all parties who signed the original note or security instrument, or their duly authorized representative(s), must provide income documentation and execute the modification agreement. If a borrower and a co-borrower are divorced and the property has been transferred to one borrower in the divorce decree, the borrower who no longer has an interest in the property is not required to execute the modification agreement. In cases where a borrower and co-borrower are unmarried and either the borrower or co-borrower relinquish all rights to the property securing the mortgage loan through a recorded quitclaim deed or other document sufficient under applicable state law to transfer title, the non-occupying borrower who has relinquished property rights is not required to provide income documentation or sign the modification agreement. Servicers are reminded that modification agreements must be signed by an authorized representative of the servicer and must reflect the actual date of signature by the servicer’s representative. if the servicer’s practice for modifying mortgage loans in the servicer’s portfolio is to create modification agreements in recordable form. Ensure all real estate taxes and assessments that could become a first lien are current especially those for manufactured homes taxed as personal property, personal property taxes, condominium/HOA fees, utility assessments (such as water bills), ground rent and other assessments. the final interest rate on the modified mortgage loan is greater than the pre-modified interest rate in effect on the mortgage loan. If a borrower becomes 60 days delinquent on the Alt Mod within the first 12 months after the effective date of the modification, then the servicer must immediately work with the borrower to pursue either a preforeclosure sale, deed-in-lieu of foreclosure or commence foreclosure proceedings, in accordance with applicable state law. Should a servicer determine that another modification is appropriate for the borrower; the servicer must submit the loan information as a non-delegated case into HSSN for Fannie Mae’s prior approval. All late charges, penalties, stop payment fees or similar fees must be waived upon conversion to an Alt Mod. 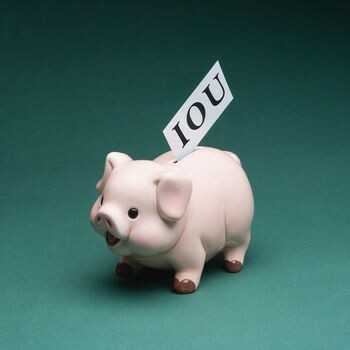 Servicers may not charge the borrower to cover the administrative processing costs incurred in connection with an Alt Mod. The servicer must pay any actual out-of-pocket expenses such as any required notary fees, recordation fees, title costs, property valuation fees, or other allowable and documented expenses. Fannie Mae will reimburse the servicer for allowable out-of-pocket expenses, with the exception of credit report fees, which will not be reimbursed. A servicer will receive compensation of $800 for each completed modification. Incentive fee payments on eligible mortgage loans will be sent to servicers upon receipt of a closed case entered into the HSSN. Fannie Mae will review eligibility for the modification incentive fee and make the final determination based on information provided by the servicer; therefore, servicers need not submit requests for payment of modification incentive fees. Modification incentive fees on eligible mortgages will be sent to servicers on a monthly basis.